This essay examines the characteristics of a pioneering community development project called the Hammersmith Community Development Project in terms of today�fs Community Centre which started as a result of this project, and local community in urban areas. This project attempted to establish a neighbourhood centre in a London ward and through the activity of residents�f organisation, involve residents in improving their familiar social environment and to form communities in adjacent wards in the urban city. In 1972, a non-profit organisation called �gCity Poverty Committee�h began this project in cooperation with the Hammersmith Borough of those days. 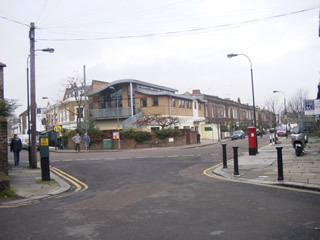 The then Grove Ward in the Hammersmith Borough was chosen for the project as a poverty area with a population of 10,000. In 1973, nineteen councillors of the Grove Neighbourhood Council were elected and the Grove Neighbourhood Centre became its base of activities. The Centre has been used by residents as a Community Centre ever since. In September 2001, I was given an opportunity to research abroad in London by Konan University, and I stayed in Hammersmith for one year. After the terrorist attack of 11th September in the U.S.A., there was a tense atmosphere in London as winter approached, so I felt uneasy to live overseas alone. London conveyed the impression that people were indifferent to others. �gDoes London have a sense of neighbourhood?�h or �gis there any local community in this big city where people from all over the world come together and move in and out frequently?�h While I was pondering something like this, an acquaintance introduced me to the Centre which was seven minutes on foot from my flat. I thought that I wanted to have a relationship with people, so I registered as a volunteer for the Grove Good Neighbours Project sponsored by the Centre. I started helping at events at the Centre and in the following year I became a councillor of the Grove Neighbourhood Council, which manages the Centre, due to a vacancy. As a preliminary research, I gathered documents, which the Centre has been keeping for thirty years, and visited libraries, The Archives and Local History Centre in the Hammersmith and Fulham Borough to ascertain documents�f whereabouts in August 2002. I revisited the Centre in August 2003 to collect materials regarding the organisation and process of the Grove Neighbourhood Council and Centre. I also interviewed people concerned with the Centre. In Japan I organized the data based on the fieldwork since 2001 and wrote an article on the Grove Neighbourhood Centre in Japanese. In August 2004 I went to Hammersmith with copies of the article translated into English. I visited the Centre, the Archive and residents and exchanged opinions on it. 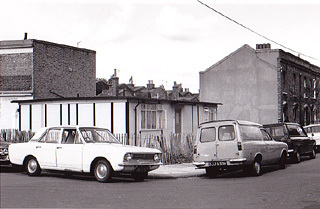 The above research showed that the Hammersmith Community Development Project was influenced by a nationwide movement in the 1970s to create a residents�f organisation in urban areas like the Parish Council in rural areas. The start of the Grove Neighbourhood Council resulted from an experiment of the community development project in London. It became a kind of movement that involved non-political organisation, local government, activists, local residents, scholars and students. I mention the activities of the Hammersmith Community Development Project in detail later, but a notable point is not only the contents of the dynamic project in a certain time. The point is that it is forgotten today. In 2003, the Grove Neighbourhood Council and Centre reached the 30th anniversary, however, even people who work at the Centre do not know about this anniversary. There was no ceremony held or no history booklet published. I could not see any photographs of successive Council Chairpersons or staff. As a community centre for residents and by residents, the founders struggled to earn funds, find a place to build the Centre, and managed it after many twists and turns, but no one is interested in its history. This made me question again whether there is any local community or sense of community identity to support the activities of the Centre. To conclude first, a lack of local community and indifference to the past; these two points suggest the characteristics of a community centre in urban areas. I discuss these points later in the essay. In chapter 1, I give an outline of the Grove Neighbourhood Centre. In chapter 2, I describe the characteristics of the Grove Ward as an urban boundary in terms of resident composition and migration rate and so forth. In chapter 3, I trace details of the Hammersmith Community Development Project and its activities from archival sources of the 1970s. In chapter 4, based on the interviews with the central figures of the project, I clarify the intentions of those people from their independent perspectives.